Well, I don’t care how well a person calls. 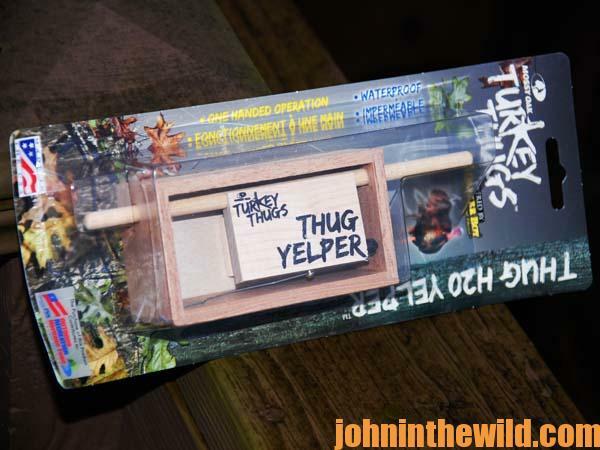 Each turkey call makes a little different sound. 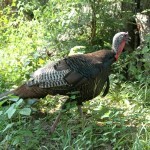 On any given morning, a gobbler only may gobble to one type of turkey call. 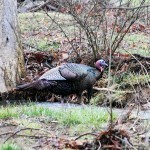 Just like you won’t go bass fishing with only one bass lure in your tackle box, because you never know on what day the bass will prefer one lure instead of the other lures, the same is true when you’re calling turkeys. 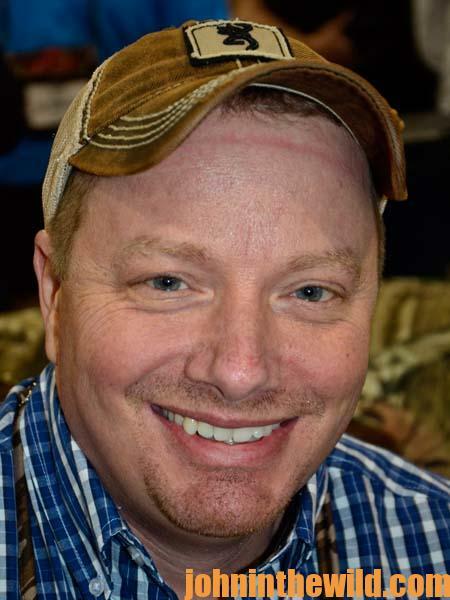 I take slate calls, glass calls, aluminum friction calls, box calls, push button box calls, usually a paddle style box call and a wide variety of diaphragm calls with me when I’m hunting turkeys. For instance, a glass friction call can be heard much farther that a diaphragm call or a box call can. The glass call also has a completely-different sound from a slate, a box or a diaphragm call. When the leaves are on the trees early in the season, the glass call has the ability to pierce that foliage and tickle a turkey’s ear, often better than any other call. I use various calls to sound like several turkey hens. Just like people sound differently when they’re talking, turkey hens sound different too. 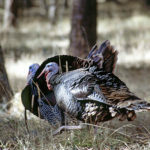 Therefore, the more types of turkey calls you have, the better your chances are to sound like a hen that the ole gobbler really wants to talk to or a flock of hens, instead of just one hen. One of the biggest mistakes that most turkey hunters make is to believe that the only call that will call a turkey is a mouth diaphragm call. 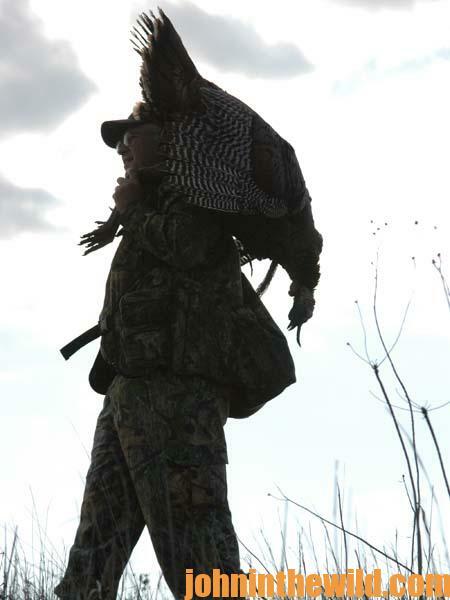 If the truth were known, I believe there are more turkeys taken home to dinner by hunters who use box calls or push button calls than any other calls made. Because of the new technology we have today, call manufacturers actually can put the sound of a real live turkey in a box call, a push button call, a slate call, a glass call or some other type of new friction call that the turkey call manufacturer designs. 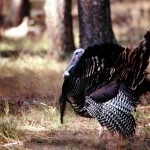 With a diaphragm mouth call, you may have to spend years and years of practicing to be able to sound like a wild turkey. 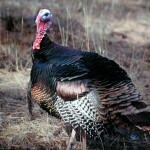 I think a hunter should use any call that will make a turkey gobble. 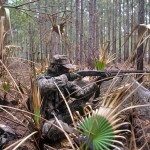 So, if you’re going turkey hunting this spring, you can blow those mouth calls all you want to, and don’t get me wrong. I blow a mouth call also, but I don’t go into the woods without a vest full of friction calls.